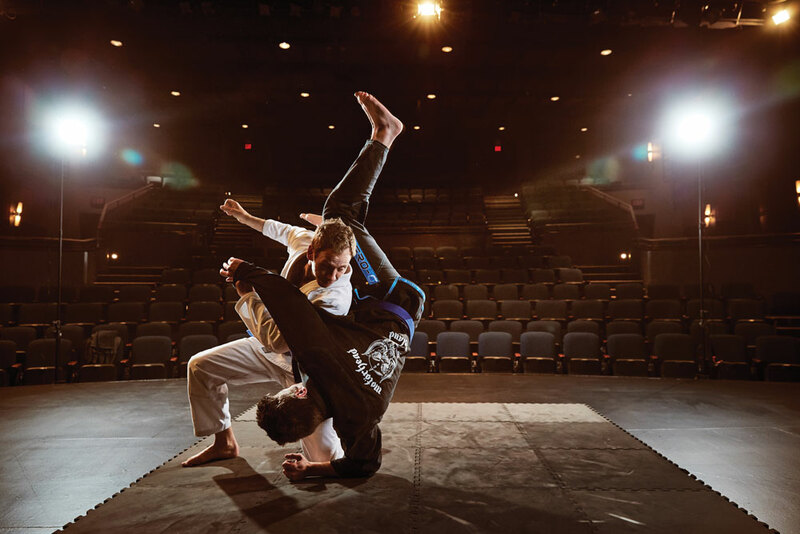 The local actor and director of the Y Stage youth theatre series keeps his body and mind strong with mixed martial arts. Over the lunch hour on weekdays, if you’re looking for Nathan Pronyshyn, start at the conference room on the 11th floor of the east tower of the Suncor Building. You’ll know you’re in the right place before you even reach the door – just follow the grunts and squeaking sounds of sweaty bodies hitting rubber gym mats. At session’s end, Pronyshyn, wearing surf shorts and a rash guard, walks over to say hello and apologizes for the “super-clamminess” of his handshake. “Did all this make sense?” he asks, then laughs at the absurdity of the question, acknowledging that this makeshift fighting ring is not where you’d expect to find the affable producer of Vertigo Theatre’s Y Stage series for kids and teens. In addition to his role with Y Stage, Pronyshyn is also an actor with countless plays to his credit. His highlight reel includes a co-starring role in The Fight or Flight Response, a play presented last March by Verb Theatre that brought together his two loves: acting and mixed martial arts (MMA). Pronyshyn, 37, grew up fascinated with WWF (now WWE) wrestling, boxing and kickboxing and practiced Muay Thai boxing throughout high school and theatre school. But, as MMA’s popularity soared in the mid-2000s, Pronyshyn switched his attention to the newest incarnation of martial arts. Pronyshyn decided to focus his training on Brazillian jiu-jitsu, earning his blue belt in 2013. His body has morphed with his practice – at the height of his training, his weight dropped to 145 lbs., though he’s now back to a slender 155 lbs. on his 5’11” frame, a result of twice-weekly weight training. Along with better posture and flexibility, he credits jiu-jitsu for giving him an acute awareness of where his body is at any second – a skill useful in acting as well as fighting – though he laughs that his acting background makes him a “lousy competitor.” He repeatedly loses matches to people whom he easily beats in practice. For all the physical changes Pronyshyn credits to jiu-jitsu, the biggest changes are in his mind. The more he trains, the less willing he is to confront anything violently. “I know how serious the consequences may be,” he says. He’s referring to an incident that took place when he was in his early 20s while out with friends in Montreal. When one of Pronyshyn’s friends was confronted by a group of aggressors, Pronyshyn jumped in and was beaten up badly, ending up in hospital with a broken nose. The experience wasn’t what motivated him to study martial arts, though it continues to serve as a reminder for him to keep his fighting instincts in check. “The movie in your head is one thing, but how things generally play out is another,” he says. Today, as a doting dad to two daughters (ages seven and one), Pronyshyn reserves his out-of-the-gym martial-arts skills for wrestling with his kids. 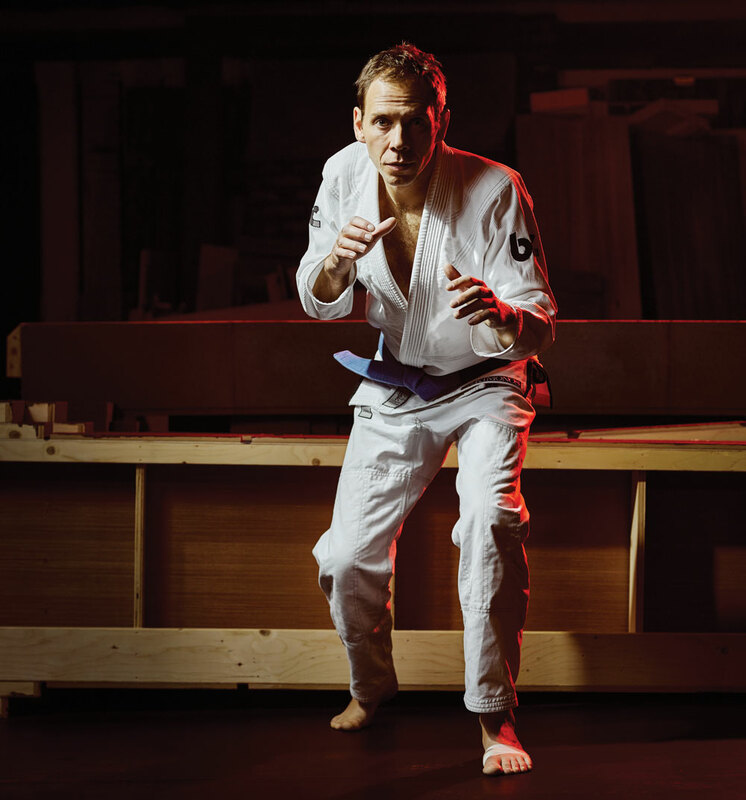 He has his sights set on attaining a purple belt in jiu-jitsu and, one day, a black belt, but right now his family and his theatre career come first. 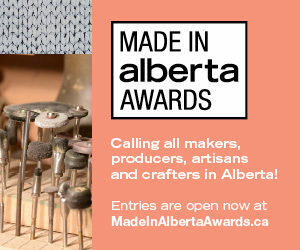 This season is his ninth with Y Stage and he recently filmed a small role in the Alberta-shot TV series Wynonna Earp. When he’s busy with a show, Pronyshyn typically scales back his MMA training and sticks to cycling to work and racing his daughter to school. Like many busy parents, he struggles with not being able to train as much as he would like and not experiencing the level of progression he knows he could achieve if he could train more.